Quote Reply Topic: What is this please? It might be the flexible joint which connects the bottom of a windsurfer mast to the board? I wonder what happened to the rest of the board and the rider?! Yes, it is definitely a windsurfer UJ setup. 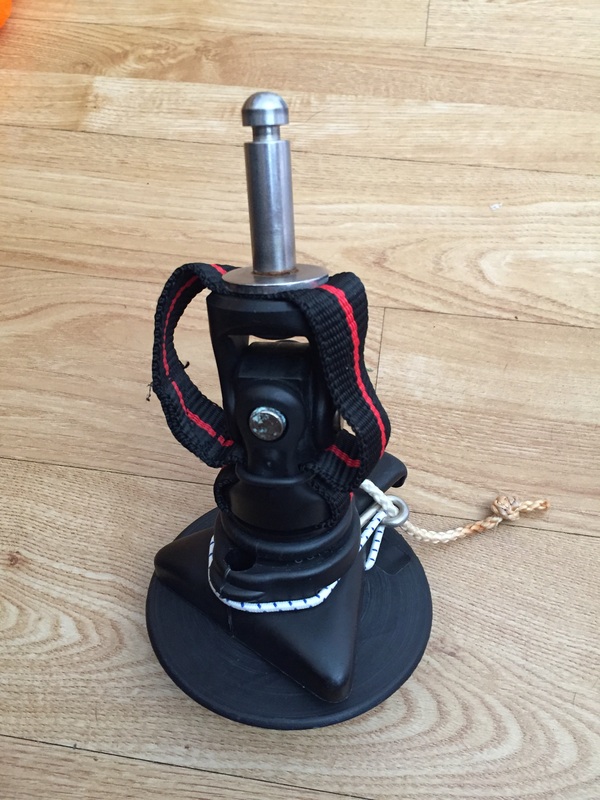 Standard North type mast foot pin and a base for a finbox type mast track. They are expensive, put it on eBay.